At MovieLux we have assembled a strong team of industry professionals with years of experience in the Film and Television Industry. This has been made possible through years of working on set and building close associations and establishing a well structured executive team who have collectively gained over One hundred years of industry experience, helping to develop and produce great Film and Television. As a Producer, Owen is highly motivated, energetic and passionate. He’s a listener. 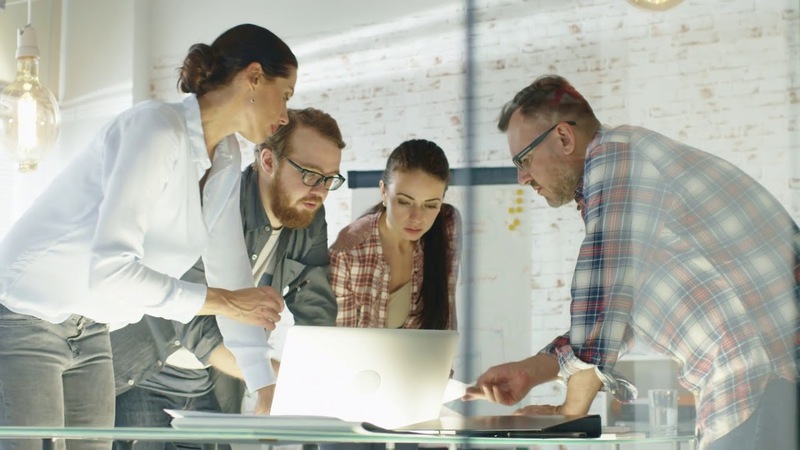 He effectively defines the project specifications, finances and roles and responsibilities and gets the job done with little or no fuss. 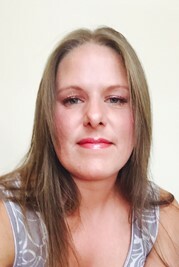 Natalie is the Co-founder, Co-Owner and a Company Director at MovieLux Ltd. Her experience as a Producer is Administrative. She is building her experience with some hands-on time on set when possible. Natalie assists and proofreads in production pitch documents, contracts, budgets, hiring of crew and preparing cast and crew hire documentation and contracts. Natalie is meticulous in detail and output, she does everything to the highest of standards possible. Having spent 16 years serving in The British Army Natalie is methodical, strict and her attention to detail is on point. A former military SNCO, Natalie is more than capable of commanding up to 120 personnel and ensure that everyone plays their role. Natalie is key to ensuring that deadlines, budgets and contacts are all on time and within normal acceptable limits. Since starting MovieLux with Owen, Natalie has learned about contracts, Pitch Documents, EIS SEIS Schemes. She has much to learn but is keen to know everything there is to know. Jamie has gained significant experience in front of and behind the camera and has joined the MovieLux team as a Producer / Creative Director. In recent years, he has worked on various big budget films, working with high profile actors including Brad Pitt, Tom Cruise, Colin Firth and Joanna Froggat. Having worked primarily as an actor, Jamie has recently branched out into second unit direction, stunts and film production. Jamie brings a clear, concise and logical approach to film-making, and is well known for his versatility. Jamie has worked on a variety of successful productions including Fury (2014); Kingsman (2015); Star Wars VII (2016); Beowulf (2015) and Dark Angel (2016). 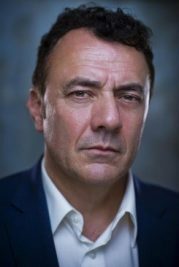 He is also an elite screen combatant, having completed The British Action Academy’s Warrior Masterclasses and developed an understanding and appreciation for action and stunts. Jamie is currently the lead in martial arts buddy cop film, Fighting Talk; he played the lead villain in cult film SlasherHouse 2 and will be appearing in Made Ordinary, Robin Hood and Treasure. Stephen has worked as a Chief Executive and a producer/director. He has overseen the development of a range of high budget and complex projects. As a CEO Stephen has a broad-based skillset of identifying and pooling skills, experience and financial resource to make initiatives successful. His energy, passion and positivity drive and inspire the team around him. His work as an actor gives him a vital rootedness in the TV and Film Industry and the parts he plays often reflect his 35 years experience in the voluntary, business and political sectors. International Acquisitions. He has developed many trusted business relationships within the TV and Film arena and attends the Global market at Cannes, AFM, EFM and other European events. He brings a strong knowledge of Market trends and provides current and future analytics to assess the commercial viabilities of both our clients formats and our in-house projects in development. He provides MovieLux with its unbiased independent perspectives on the ‘Film and Television’ market and has strong associate partners and solid relationships with several labels and acts for a number of companies as a production packager for feature films in development. As of 2018 he will over see the development and packaging, route to market planning and distribution of digital TV formats and film content for ‘MovieLux’ it’s sister brands and its associate producing partner in the USA, working with both Managing Directors to help oversee and structure the roll out operating remit. Parvez is an independent Film and Television professional with 30 years of experience in both, firstly in Television as a producer, then as Film Producer. Since 2009 diversifying into accounting and finance. 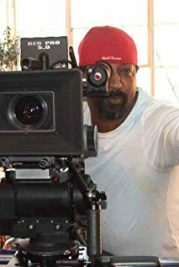 He has Experience of BFI Cultural Test and Film Tax Credit Experience as Producer and Executive Producer and Production Accountant. Professional Membership PGGB (Production Guild of Great Britain), MA, Film Production from the London Film School. A qualified Accountant, Member in Practice able to deal with all aspects of accounting, working with budgets to 20 million in multi-currency, managing and monitoring production costs. Experience of HMRC rules on tax credit/crew grades, Advising Producer/Line Producer, preparing Cash Flows and Cost Reports and Final Cost Report for British Film Institute (BFI). 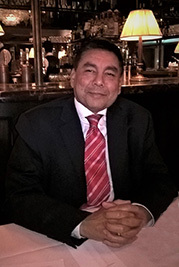 Parvez advises and works alongside MovieLux as an independent consultant and has his own accounting practice as well. With experience based over a decade at some of the top London marketing and advertising agencies, working with both SMEs and big global brands to undertake their integrated online and offline marketing, using a tailored approach depending on the company/audience. Brands worked with include: Sony Mobile, Microsoft, Chivas Regal, Patek Philippe, Ecco Denmark, BirdsEye, Pringles, Ford, Stella Artois, Hilton Hotels & Resorts, Unilever. Also undertook business strategy combined with marketing strategy for a multitude of small start ups, entrepreneurs and charities. Hannah is a proactive and strategic marketing professional with considerable experience working across both the UK and global markets and with large multi million pound budgets. She has a Proven track record utilising a creative and perceptive nature to lead a motivated and cohesive team, driving revenue through successful project completion. Confident communicator, building strong senior client relationships (C suite) and growing business. Tom is a London based Casting Director with a very strong background in music and linguistics. Having obtained a Master’s degree in linguistics in 2005, he can speak a several languages fluently and is well travelled. Although Tom grew up in a creative musical family, his true passion is working in film and television. After some time spent working in the events and corporate environment, Tom started out as a supporting artist on feature films, television shows and other media productions, he also tried his luck as an actor only to realise, that he felt he could achieve much more by working behind the camera. 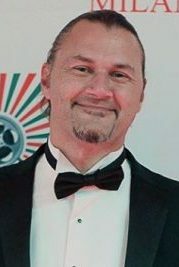 Tom is a highly self-motivated individual with a deep, working knowledge of the film and television industry as well as a number of industry connections. 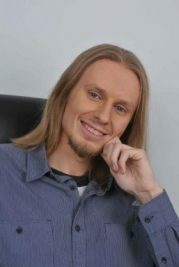 With a combination of his education, artistic background and professional experience in the film industry with his strong interpersonal and organisational skills, Tom realised his own potential in the production side of filmmaking and made his debut as a casting director in 2014 on an ambitious short film called “Piranha”. Since then, Tom has further developed his skills and experience as a casting director behind a number of successful short films and music videos. Furthermore, gaining experience and new contacts while working behind the camera, Tom went on to briefly work as a Second Assistant Director on a TV show, before becoming an in-house casting director within the MovieLux team, which took Tom’s skills and experience to a new, higher level. Working towards Tom’s ambition is to become a successful casting director working on feature films and bigger television shows, with an aim to work on Hollywood level productions.